CD Projekt Red has released a new Witcher 3: Wild Hunt video. Apparently they have allowed some journalists to play the game hands-on for the first time. The gameplay looks very exciting, and the graphics are of course amazing. Can’t wait for the release! 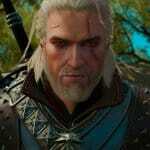 Check out this amazing Witcher 3: The Wild Hunt gameplay trailer! The story of the Geralt of Rivia culminates with the coming of the mysterious force of specters known as the Wild Hunt. Witcher Hour is a fansite created specifically for the upcoming Witcher 3: Wild Hunt RPG by Polish developer CD Projekt Red. Stay tuned for daily news updates about the game!